Tours run every day at 10:30 a.m. all year round. Guides take a group of maximum 10 people. Minimum age to participate is 12 years old. This activity is physically challenging. No previous experience is necessary, but a good level of fitness is necessary. What to bring? Warm clothes (first layer), waterproof clothes (second layer), gloves, a hat, and hiking boots (available for rent at meeting point). 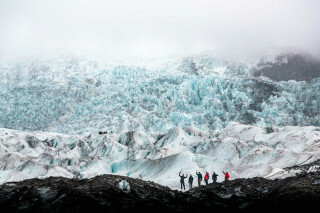 Prepare yourself for an unforgettable and frozen adventure from Skaftafell National Park. 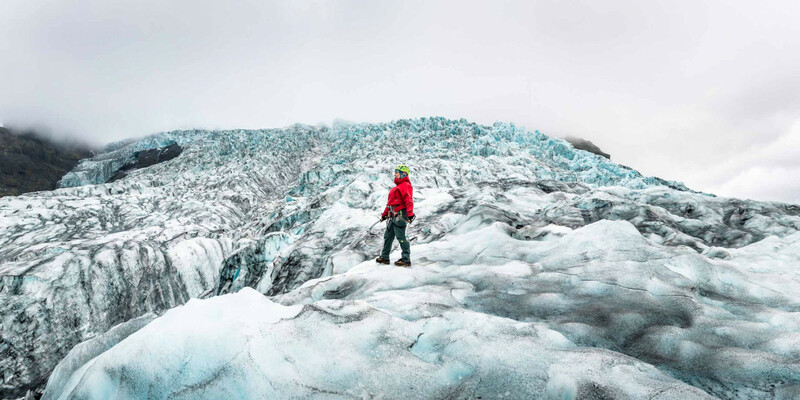 This is the perfect opportunity for those who want to experience a long hiking adventure on Falljökull, "The Falling Glacier". 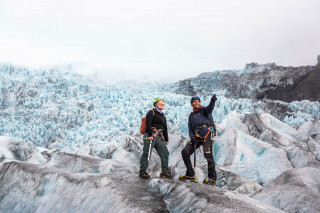 We will use different techniques to explore far into the glacier to make sure you let the ice fall amaze you and the breathtaking scenery leave you speechless. 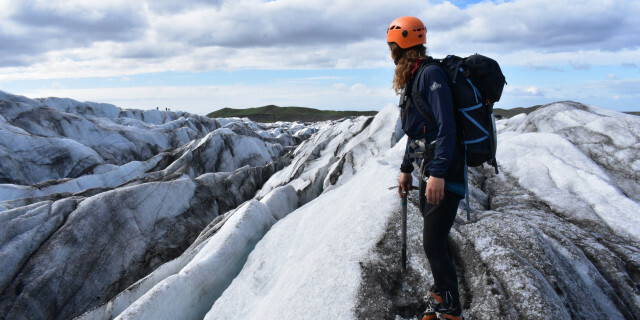 Your adventure will begin at Skaftafell Visitor Center where you will meet your highly qualified and and friendly glacier hiking guide. 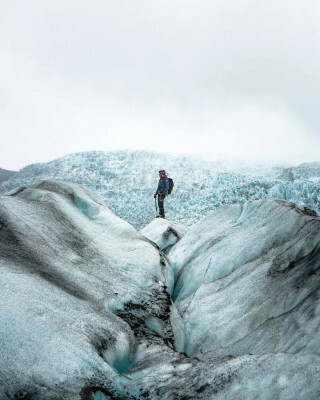 They will give a short safety briefing and provide you with all of the equipment necessary for your hiking adventure, including helmets, crampons, harness, and ice axes. After a short ride on the famous “Tröll Bus”, you’ll immerse yourself in the glacier and begin a short hike to the ice cap. 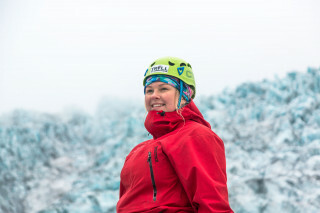 Once there, your guide will explain how to get geared up and what the safest practices to walk on a glacial surface. 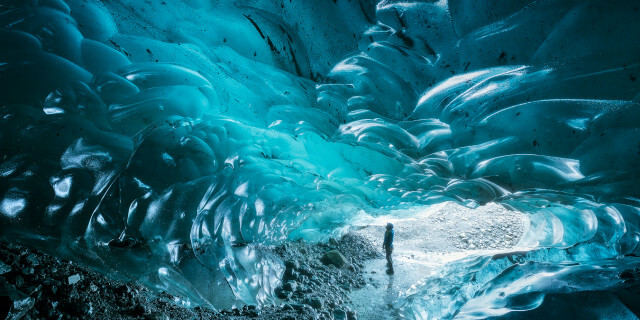 As you get into the glacier outlet, the majestic features of the natural world amaze you. 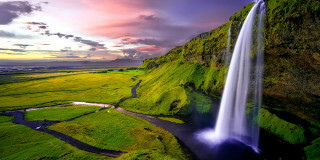 Falljökull is a glacial tongue from Vatnajökull, Europe’s largest glacier, and its name translates to “The falling glacier”. The icefall in the area is unique on earth and the further you get, the more it will blow your mind. The out-worldly scenery is comprised the ice formations in the area: deep crevasses, pale moulins, and even ice sculptures. Since we’re going to be so high up, we will be able to observe panoramas over Skaftafell National Park, that has gained fame in the last years for being the location for many films and shows. 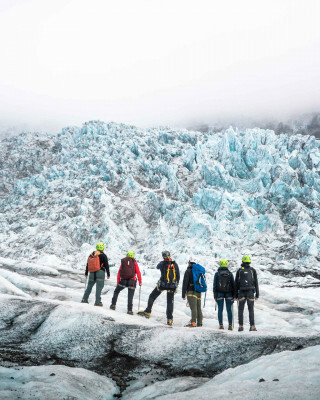 During your expedition, your glacier guide will let you know how glaciers are formed, the dangers, the consequences of global warming, and their future. When this 5-hour tour is over, we head back to Skaftafell Visitor Center filled with a head full of all the lessons and otherworldy views.